Akon, the Senegalese singer, has announced the launch of his own digital currency called, suitably, Akoin. Unfortunately there won’t be any physical Akoins, being a digital currency and all, but still, it’s almost worth it for the pun alone. The singer announced his plans at Cannes Lions – an international ‘festival of creativity’ – where he said the currency will be available in two weeks, hoping that it will help his Lighting Africa project, which brings solar power to homes across the continent. I think that blockchain and crypto could be the savior for Africa in many ways because it brings the power back to the people and brings the security back into the currency system and also allows the people to utilize it in ways where they can advance themselves and not allow government to do those things that are keeping them down. However, Akon isn’t content with it just being a cryptocurrency. 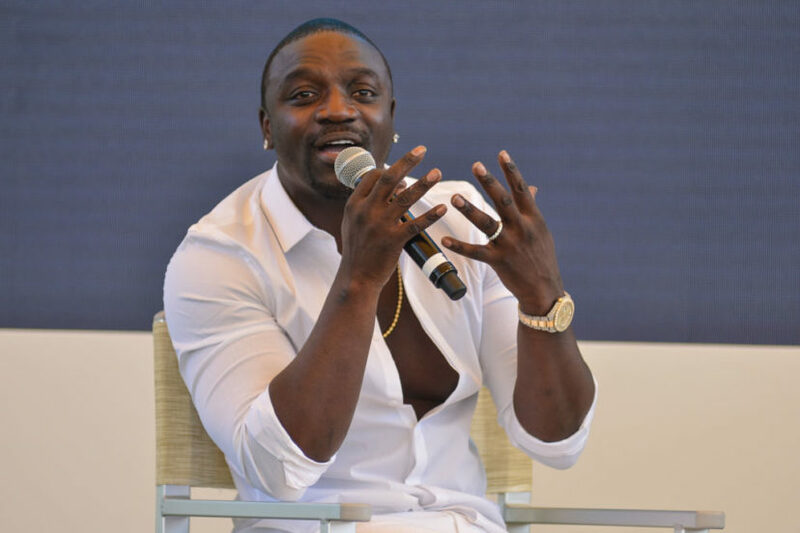 As Page Six reports, an ‘Akon Crypto City’ is in development on 2,000 acres of land that the singer was given by the president of Senegal. First of its kind 100% crypto-based city with Akoin at the center of transactional life. I come with the concepts and let the geeks figure it out. While speaking at the event, the Smack That singer also reiterated his interest in getting into politics, saying he’s not only ready to take on President Trump in 2020, but Kanye West too. I actually really want Kanye to run. It’s gonna be entertaining, it’s gonna be something worth watching. I’m going to go after Trump and Kanye will get offended because he likes Trump and he’s going to go after me. Then I’m going to go after Kanye and then Trump’s going to get offended because he likes Kanye and he’s going to go after me. And the debate stage will be set where it’s all about me. It’s perfect, a masterplan. I’m going to come in with a team so crazy, man, it’s all going down. I’m not holding my tongue. The way I look at it, win or lose, at least I get the movement going, I get the conversation going. Someone has to tell [Trump] to his face, what it really is, no politic[al] conversation, no language that we don’t understand, like ‘No motherf–ker, you’re a liar’. It also seems Akon is willing to stand up against Trump sooner rather than later, and in a different match setting, too. I’m not scared of him. I would invite him into the ring. You know what? Matter of fact, let’s just go in the ring, Pay-Per-View … you guys can decide whether it’s gonna be a boxing match or MMA. Someone’s got to defeat the bully. I’d definitely pay to see that. With Akoin, naturally.